I created several versions to build the fastest or the strongest one (you can see a video here), and now I decided to create a well balanced version which runs as fast as the original but has much better climbing abilities. 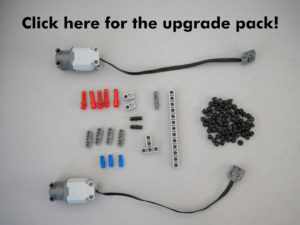 I tested a lot of configurations with different motors and also tried to gear them up or down, but finally arrived to a simple yet effective solution. I removed the M motors and installed 2 L motors, the structural integrity is improved with the motors secured in place at multiple points. The tracks have a much better performance with the rubber attachments and they don’t slip on hard floor like the stock version. 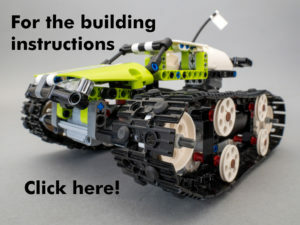 42065, building instructions, Lego, power functions, Technic. Bookmark.